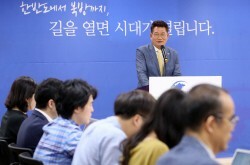 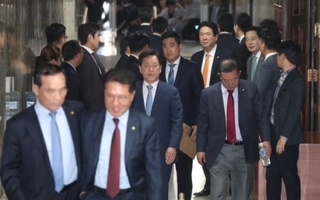 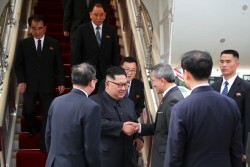 By AsiaToday reporter Son Ji-eun The peace mood on the Korean Peninsula is accelerating President Moon Jae-in's so-called New Northern Policy and the..
By AsiaToday reporter Choi Tae-beom Since the U.S.-North Korea summit talks, measures are being taken to ease tensions on the Korean Peninsula. 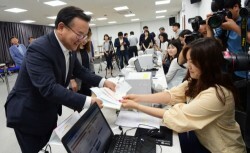 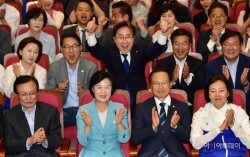 Chance..
By AsiaToday reporters Joo Sung-sik & Heo Go-woonU.S. 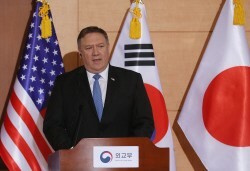 Secretary of State Mike Pompeo, who visited South Korea to work together on the North's denuclear..
By AsiaToday reporter Park Ji-sook The June 13 local and parliamentary by-elections ended in a sweeping victory for the ruling progressive party, whic..
By AsiaToday reporters Choi Tae-beom & Heo Go-woon US President Donald Trump and North Korean leader Kim Jong-un signed an agreement on Tuesday st..
By AsiaToday reporter Choi Tae-beom A day ahead of the Singapore summit, the United States and North Korea continued to hold working-level talks for l..
By AsiaToday reporter Choi Tae-beom U.S. President Donald Trump and North Korean leader Kim Jong-un have arrived in Singapore on Monday ahead of the h..
Minister of Interiror Kim Bu-gyeom visited a polling station in Seoul on Thursday, a day before early voting for the June 13 local elections./ Photographed..
By AsiaToday reporter Jisu Kim The venue and the timing of the historic meeting between US President Donald Trump and North Korean leader Kim Jong-un..
Would Seoul, Pyongyang, Washington declare an end of war? 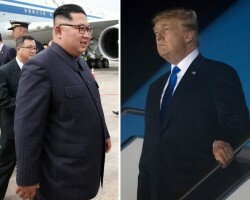 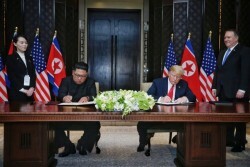 By AsiaToday reporter Choi Tae-beom Ahead of a June 12 summit between U.S. President Donald Trump and North Korean leader Kim Jong-un, expectations fo..